The Dukes of Dixieland aboard the steamboat Natchez are a top band. EVERY DAY is a holiday in New Orleans. It's a city that celebrates life's pleasures every hour, every day. Historic Jackson Square with its horse-drawn carriages is a landmark you won't want to miss in New Orleans. The food, music, architecture, water life and even the cemeteries praise our brief spin here on planet Earth. Good music is part of street life. This trumpet player offered fine tunes. we hadn't garnered in earlier visits. For starters: the nickname comes from the notion that it's sensible to "take it easy," said our amiable tour guide. 'WE BELIEVE that taking it easy should be done big," he said. "So we call our town the Big Easy." Our brief, memorable visit centered at the New Orleans Hyatt, at Loyola and Poydras, which locals pronounce with a French creole "pwa" sound: pwadras. Every day is Mardi Gras time, here at Harrah's casino. BUT THE city's colorful inhabitants believe in their motto: "laissez le bon temps rouler." The skyline of New Orleans viewed from the Natchez. And roll the good times do -- from breakfast beignets and coffee au lait at Cafe du Monde to a lunch of the muffuletta (salami, ham and provolone with marinated olives and Italian bread), to a romantic jazz filled evening on the Steamboat Natchez with a Cajun inspired buffet and classic Dixieland jazz on an old-fashioned stern-wheeler. New Orleans is known for its Mardi Gras celebrations and its nearby plantations. It is also famous for its above-ground cemeteries, wrought iron gate and doors, horse-drawn carriages and stately mansions. A HUNDRED years ago, Bourbon Street was famous for its houses of prostitution! Both Louis Armstrong and Jelly Roll Morton practiced their jazz in bordellos. A visit to the Big Easy is not complete without a dish of gumbo, a beignet and a stroll or shopping around Jackson Square, where you'll hear fabulous music for free -- just leave a buck or two with the talented buskers. serves up signature "po-boy" sandwiches. The cemeteries of New Orleans feature above-ground graves. The Hyatt's imposing interior is photographed from the fast elevator to the 37th floor! 20 minutes' walk to a cruise on the Mississippi, the French Quarter with its balconies, bistros, carriages, and Jackson Square delights. At famed Brennan's, we tried the file gumbo -- fabulous. At our Hyatt Regency, richly satisfying jambalaya. 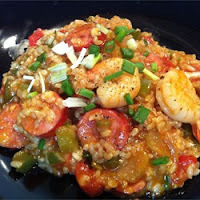 The Big Easy's the place for "Big Eating." A stroll on the pretty waterfront is a delightful diversion in New Orleans. IF YOU stayed a month, you'd not have time to sample all the oyster bars, steak houses, gumbo and "po-boy" shops and world famous eateries. The city is also a great "browsing town." So much to see! aboard the historic Natchez. It was our sixth visit -- and we only scratched the surface. Swamp tours, vineyards, museums, horse racing, and gambling have lured us before and will entice us back for another tequila mockingbird, muffuletta sandwich and plate of barbecued shrimp. We missed the world renown National World War II Museum, and must rectify that. NEW ORLEANS has fun tours for every inclination: history, culinary, cocktails, bicycling, walking, cemetery browsing or double-decker perusing. Charm, ambiance, cultural diversity, friendliness and architecture combine in New Orleans, perhaps more than any other U.S. city, save San Francisco. YES, KATRINA left her mark, but New Orleans is back. The spirit of this lively city endures in Big Easy style.The ethnic mix, rich and varied history and pride in food, drink, music and hospitality elevate it to "fabulous" status.Whether you're here to eat, listen or simply soak it all in, prepare to let the good times roll. 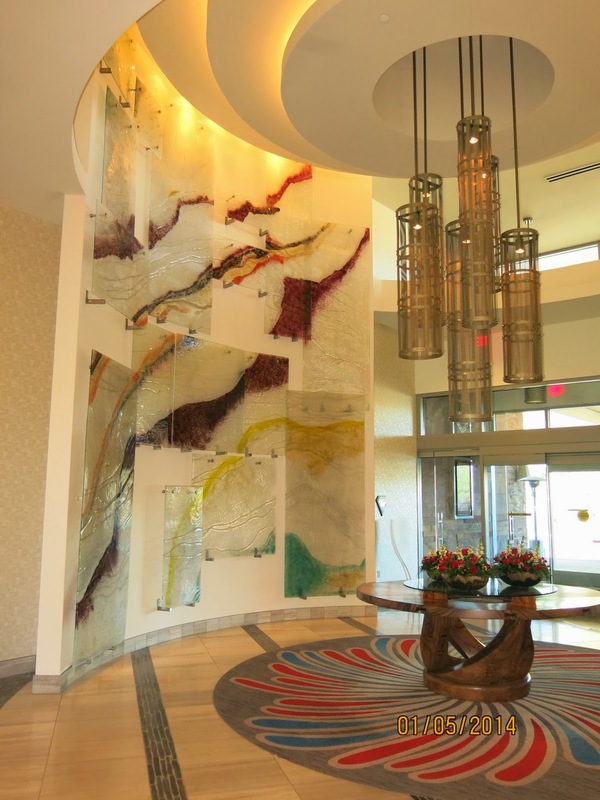 The Viejas lobby welcomes visitors with artful flair. Love New Orleans, and found this fun column while searching for tips on what to do. Like the free-and-easy style and the photos are enticing. Will definitely stay at the Hyatt, and dine at Brennan's, a family favorite through the generations. THANKS! Our Tennessee friends just turned us on to Cookie and Keller. Where have you been hiding? Spent two lovely hours reading -- from Panama Canal to the Far East, Middle East, Baltic and all the fun family lore...... plus the Queen Mum. Can't believe what I've been missing but plan to make amends.